The Judean desert along the western shore of the Dead Sea, the lowest place on earth, is a unique location for photographs. 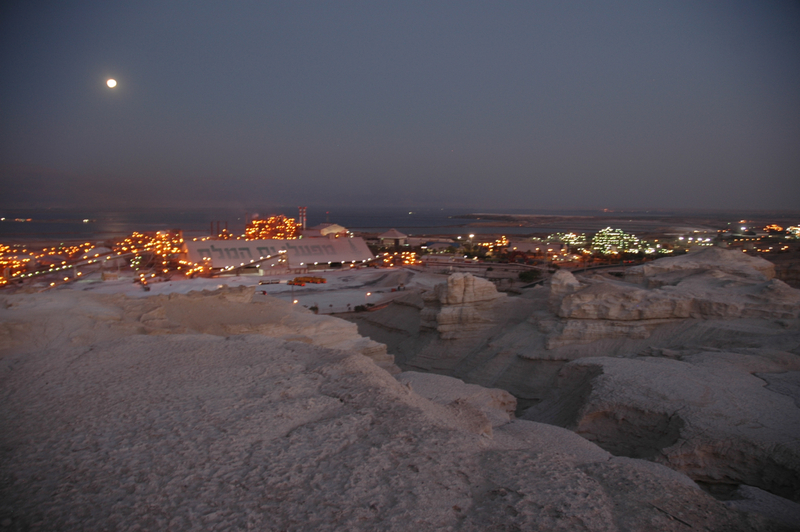 Rather than focussing in this case on nature, in this photo of the Dead Sea Works under a full moon, I wanted to show man’s intervention in the pristine landscape. This is one of the photos from my exhibit, “From The Lowest Place on Earth” in 2008 in Katmandu and the Israeli ambassador has it hanging in his office. The technical details – the photo was taken with a Nikon DSLR camera in June (ISO 200, 18mm, F3.5 at ¼ sec, handheld).